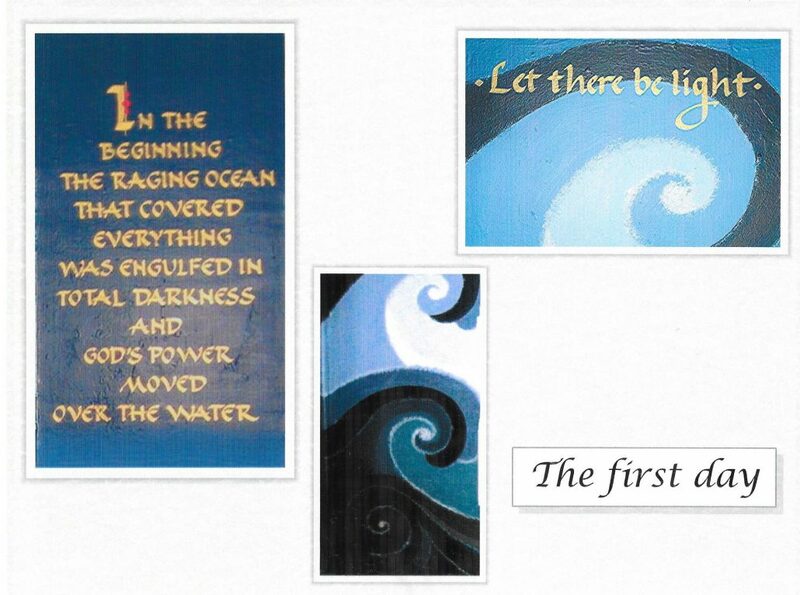 St. Paul’s Senior Youth Group paints the Genesis Creation Story Mural in the Parish House. 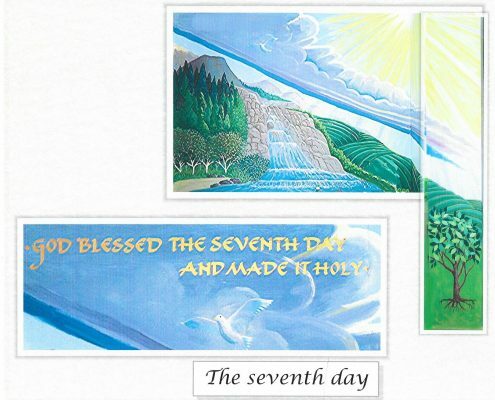 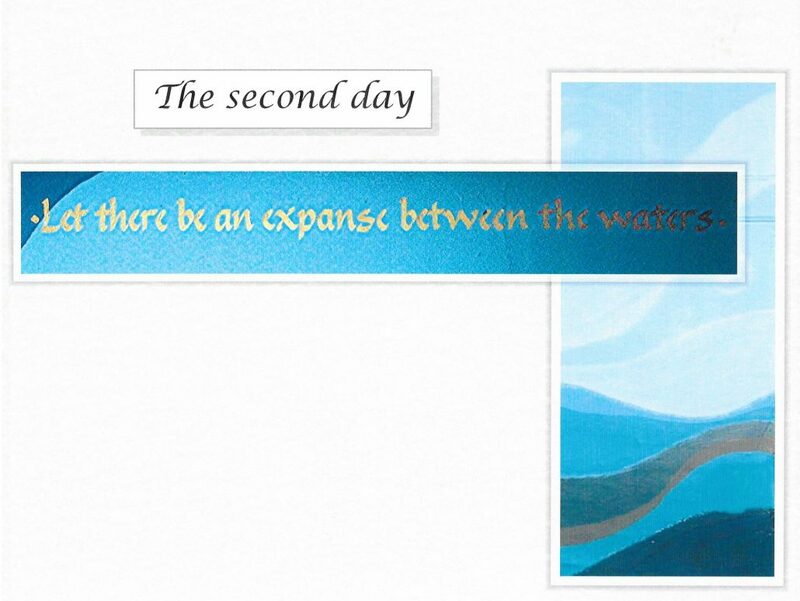 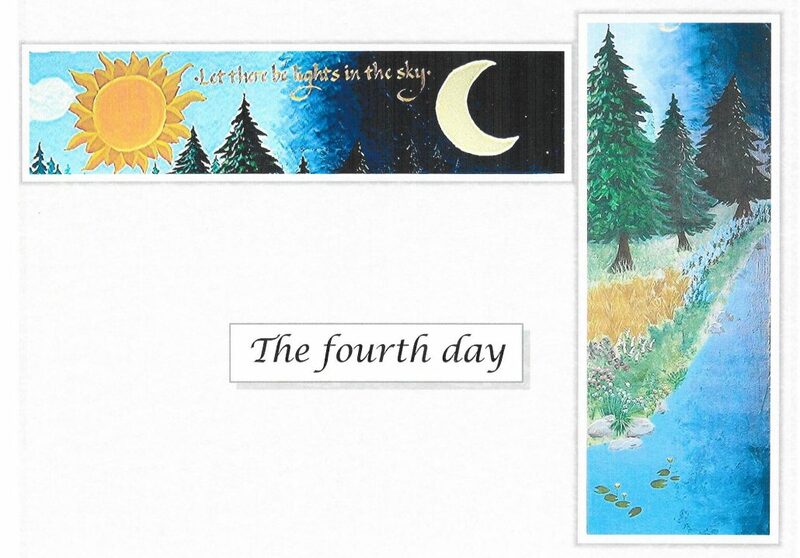 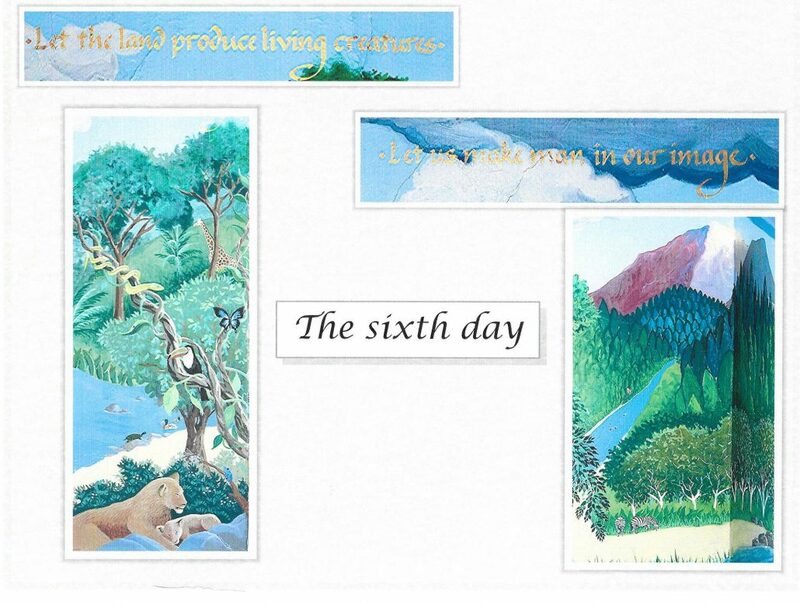 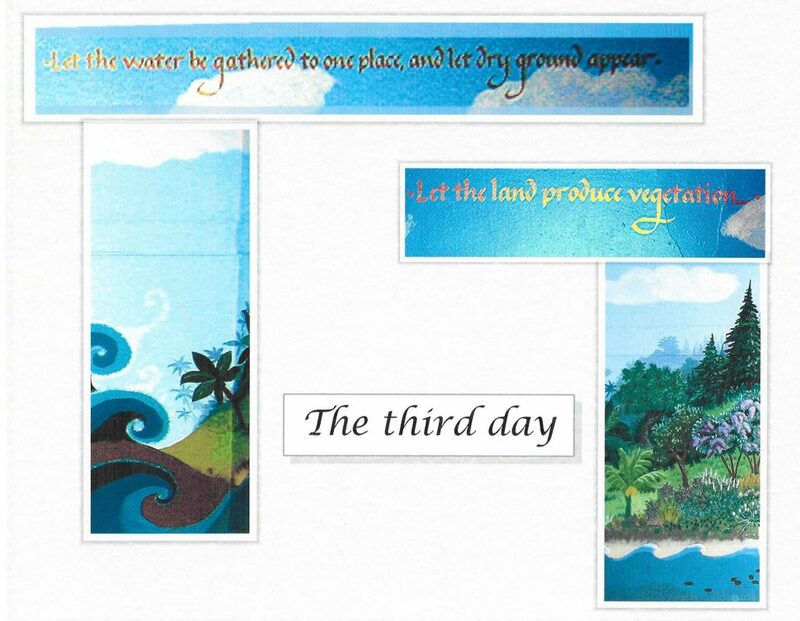 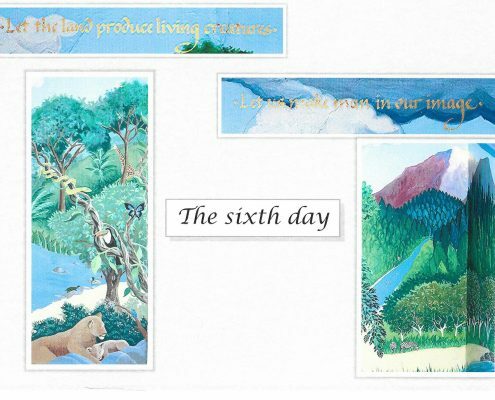 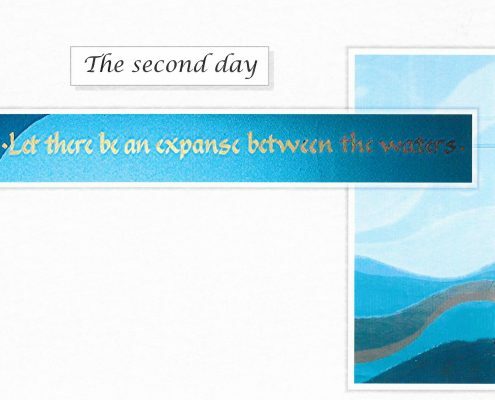 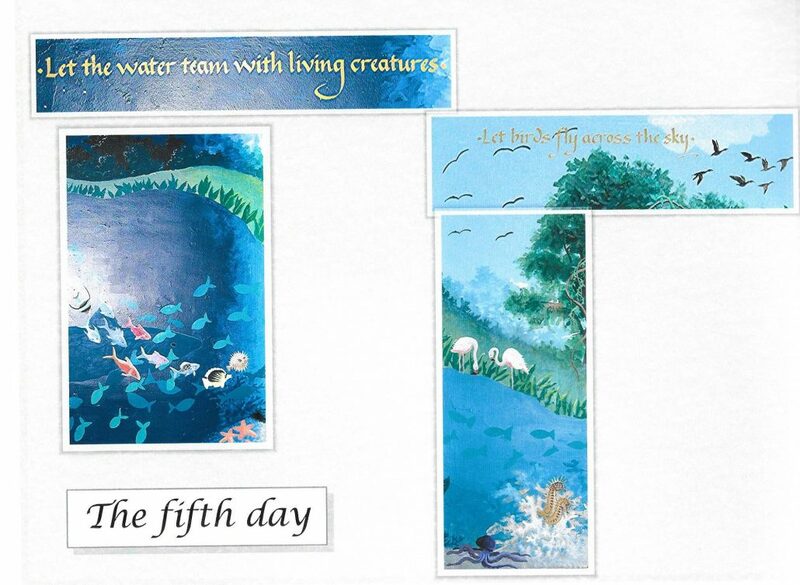 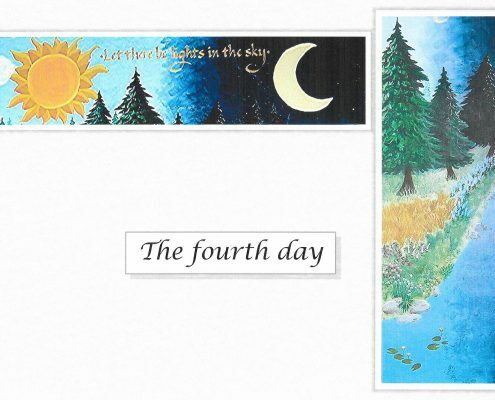 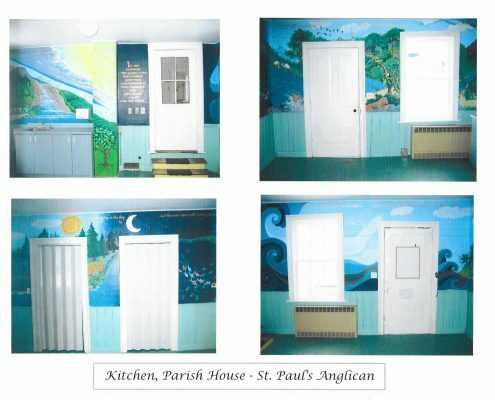 In 2004, members of the Senior Youth Group: Sascha Wionzek, David Burd, Trevor Davis and Matthew Miller (with help from Doris Wionzek, Dianne Gale, and Brian Fallak) painted the impressive Genesis Creation Story Mural over the walls in the kitchen. 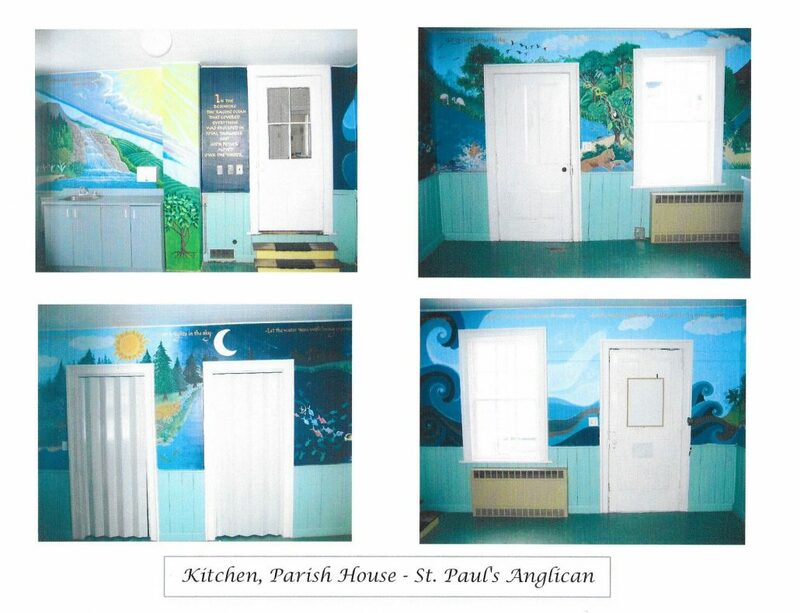 During recent renovations to create a home for the Syrian family St Paul’s co-sponsors with Holy Name of Mary Roman Catholic and Almonte United churches, the Building Code required that the kitchen walls be reinforced with a firewall mural. 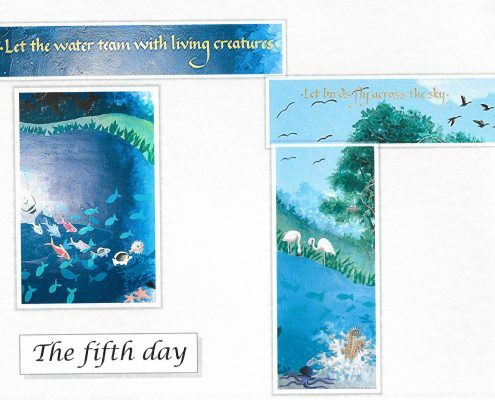 However, photographs taken at the time have preserved this creative act for posterity so that it can continue as a witness of the essential good of creation. 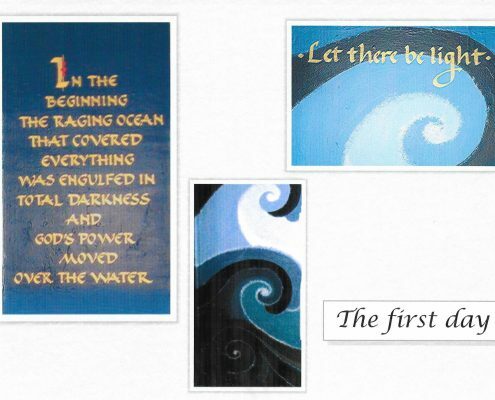 Click here for a slide show of the mural.